It contains old discussions of topics relating to the user. Please do not add or remove any content from it. 14 Big question due to there being a Kotetsu picture? Alright, so, is it OK that I found the images on The Pokémon Wiki? Also, they're a little bit small, but hopefully it will suffice. Hi, Adyniz, I am new at Bulbapedia, so I can't upload any images, as you are an admin you can. I found an good image for the ranger, Luana, that page has no profile image. Can you upload it? I uploaded it on the pokemon wikia, where I can upload Image's even though I am new there. I send you a link to that image:. Sorry for my maybe bad grammar, but I am dutch. He does not seem to be confirmed to be the 'new' rival but merely a Pokémon Trainer, at least for now. A confirmation requires a solid official proof, which we do not have at the moment. He is not travelling with the gang either since there is no sign of him being in the TR two parter. No summary, magazine scan, or any other source has confirmed his status. Therefore, I do not see the need of creating the article before the episode airs. However, you are more than welcome to create the article once the episode officially airs but please do not forget to put some more effort, as I mentioned in my previous message on your talkpage. For now, you can save the article in a notepad file if you want. Big question due to there being a Kotetsu picture? Kind of new to posting on Bulbapedia, so excuse me if I format something incorrectly here. I was wondering if I can help with the merch project. I have been a collector for years and run a website that sells Pokemon Center plush toys and Pokedolls. I feel I can contribute quite a bit about the plush toy brands and lines. I know a little about each figure brand, and have a general knowledge of almost all the areas of merchandise, but my area of expertise is definitely the plush toys (pokemon center, Banpresto, Pokedoll, takaratomy, ect.). Adyniz I have NEVER done any translation . Please before saying something like this to some one you should be sure and as far as I know I have been watching the anime from starting and NOT all but some alternate are give dub titles if you want reference see this and I NEVER add false information, have a look I'm giving you link for EP04-EP06 . LISTEN THE TITLES SPOKEN IN HINDI! Hello Adyniz, I come to you with a suggestion, a rather ambitious and large one so sit back, grab your tea and get ready to read because it's going to be a long post. As a frequent and old Pokémon player I regularly find the need to search for the best way to raise my Pokémon, which Pokémon are the best to catch, and after having them, how can I maximize the potential of each and every Pokémon in my team. As you clearly know, there is no information on Bulbapedia (except for some stats, abilities and natures, but nothing indicative of a potential "best" situation) regarding this matter. Therefore, I wish to make a proposition so we can fulfill this niche of players who look to find the best way to make their team the most powerful one, or just to help guide the average player with his playing experience in order to avoid some frustration as to why his Pokémon aren't performing in up top shape. To serve this purpose I'm going to make two suggestions: the first one would be a simple short version of what a possible best strategy could be; and the second one would be a sort of in-depth guide for the training on each individual Pokémon. Now on to the suggestions! These builds and strategies are all but mere suggestions to serve as a guide for the average player who may struggle with the use of his Pokémon or simply to allow them to learn more about how to unlock the true potential of each Pokémon. It is not meant for the player to be forced to take this path. The player should choose, by himself, which is the best way to raise his Pokémon. Objective - Serves as a quick go-to guide for the overall best strategy for a specific Pokémon. These EVs are completely focused on hard hitting targets, with a maximized Attack and Special Attack stats as it will guarantee a clear sweep which will continue to improve with each successful Dragon Dance. See EV and List of Pokémon by effort value yield for more information on how to raise your Pokémon stats (alternatively it would be a good idea to make a page dedicated just to how to train your Pokémon's EV and how Natures affect your Pokémon, etc etc etc). Optionally, the use of Earthquake against teams who use Steel, Poison or Fire Pokémon has proven very effective. Roost is also a good move if the player wishes to make the most out of Multiscale. Objective - Provide a complete in-depth competitive strategy giving the most important information and explanations about which build to choose for the specific Pokémon. As we know the competitive scene always brings out the best in the meta of every game, so to dedicate a page to strategies of the current metagame could greatly serve and help anyone who is looking for the best of the best. This is the standard Dragonite set. Dragon Claw is Dragonite's main move, as it gets the STAB boost and is only resisted by Steel-types. Fire Punch provides nice coverage along with Dragon Claw, hitting Abomasnow and Steel-types for super effective damage. However, it should be noted that despite being super effective, Fire Punch won't do over 50% to max HP Metagross. ExtremeSpeed will allow Dragonite to strike first, moving even before all other priority attacks bar Fake Out. Protect is a staple for most Pokemon in VGC, and can also be used in sync with Leftovers to help restore HP each turn. The 204 HP EVs allow Dragonite to always survive Life Orb Latios's Draco Meteor, and also gives it maximum Leftovers recovery and good bulk. The 52 Speed EVs let Dragonite outrun minimum speed Rotom-A. The rest of the EVs are put into Attack. An Adamant nature allows Dragonite to deal as much damage as possible, while Leftovers is used to restore some HP each turn, which might allow multiple usage of Multiscale. Haban Berry, however, lets Dragonite survive a Dragon Gem Latios's Draco Meteor, which it cannot do with just Multiscale. Important side note: all of this information should be backed with a link to a page explaining how to evolve your Pokémon to raise their EVs this way, why and what natures affect what stats, what Pokémon to fight against if you want to have the best stats raised, how to catch Pokérus to further your stat evolution, the use of Vitamins in EVs, training with Macho Brace and the remaining factors that can boost the stats of the Pokémon. Secondary side note: As you can see the difference between this guide and the first guide is that the first guide should provide a more comprehensive and simple way for anyone to build their Pokémon in a specific powerful way, while the second one should be an all-out strategy taking the most important factors into consideration on the current metagame. Pros - the first suggestion is quick, succinct, easy to read and understandable, every build shouldn't be bigger than that, and the idea is that anyone can easily shortcut it's ways through the menu and quickly understand one of the best builds for Dragonite (in its page). The second suggestion should have a page completely dedicated to it and should serve as a complete in-depth guide of how to build a specific Pokémon. If we display several strategies while backing up that information with each and every VGC (and other important tournaments), this solves the subjective con since we could 100% base ourselves on real strategies used in real life tournaments and place them there for anyone to learn. Cons - subjectiveness, my idea of "best build" can differ from the next guy, so this can be a problem in the sense that will probably generate a lot of discussion and to ascertain a common "best build" amongst the community could be very hard. This would require a change in each and every Pokémon page to grant a strategy to each one of it, or would require the creation of 600+ pages for in-depth guides in each Pokémon page. Either one of those are obviously time consuming. Another added con is that all of this information is very volatile as it can change from generation to generation with stats/abilities/move updates and new moves coming in to the game, requiring constant maintenance with each generation. Presented Solutions - create a best strategy contest! This contest should be held weekly with different Pokémons each week, allowing for the community to pitch in their very own version of what the best strategy is while in the meantime allowing anyone who visits Bulbapedia to vote on what the best strategy is. At the end of the week the contest closes and the best strategy is posted on the Pokémon page crediting the user who entered the strategy. This could entice the community in to sharing ideas between them and would definitely bring more people in so they could place their own strategies for everyone to see. This solution could be made on the Bulbapedia page, or have a part of the forum dedicated to it. It could also be applied to any of the two suggestions I made. I understand that overall this is a very, very hard and ambitious project for the whole Bulbapedia, with new games coming up every year, with new Anime and new Manga out every month, there is a lot of information that needs to be reviewed and constantly updated. Even after all these years the to-do list for Bulbapedia is huge and there's always some things that were left out that could have been done in a better fashion, hence my fear that making this could be a bite bigger than Bulbapedia can chew, and so I am ready to accept the fact that this suggestion will, most possibly, be discarded and forgotten as certainly there are other things waiting to be done and reserved for the future of Bulbapedia. To finish this massive wall of text, I just want to thank you for your patience and attention given in reading all this, I am very sorry that it had to came out this long, and I wish to point out that all I ever wanted was to provide a new perspective, a competitive perspective even, a new way for Bulbapedia to improve and become a better place for everyone. However, I didn't want to do it without having my opinions properly backed up. PikaTepig999, thanks for the suggestion. It has been added to the article. 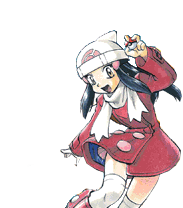 I haven't used Pokémon Wikia's image though, because it is always nice if we can get our own image rather than using their's or someone else's for that matter. You can use the same account on all three wikis (Bulbapedia, Archives and News). In order to do that, you will have to go to your preferences on Bulbapedia (the 'preferences' button on top, in between the 'talk' and 'watchlist' button). There, you will see a link which says "Manage your global account", click on it. You will get a "Login unification complete!" message. After you are done with it, try logging in on the Archives and Bulbanews, it should be working fine, if the account has been merged successfully. You can confirm it by revisiting the "preferences" on any of the Wikis and look for the note below "Global account status: All in order!". It should say "Your account is active on 3 project sites". SLV = Sinnoh League Victors. Hey Ady, I was talking to nuva-kal the other day about Tretta and Battrio not having any sections on species articles, and he pointed out the lack of sections for various merchandise. That got me thinking, and after searching through some of the merchandise pages, I got an idea that I want to throw your way. Searching for merchandise of specific Pokémon is pretty time-consuming as it is now; putting in something like "Piplup figures" will get you a couple pages of merchandise, as well as anime episodes simply featuring Piplup. The toys template helps with the blind searching a bit, but there are still roughly 20 pages for a person to sift through to find what they're looking for. And if they then want to see what books are about Piplup, if there are any, they have to go back to the search engine roulette. There's no reason to mention the specific times when the show airs, because it is completely pointless unless there is a solid reason to do so. If I did mention it somewhere in the article and haven't removed it yet, let me know. Noting each and every single episode which didn't get aired in order seems unnecessary. There are just way too many out-of-order airings to note, which doesn't make the information noteworthy but makes it less notable in this particular case. It almost seems like a common practice by the channel. To wrap it up, that particular information is not that significant and it will not affect the article much if we don't go into those specifics. Which is why I have removed the table. Don't get me wrong, I appreciate the help but it doesn't seem necessary. I would highly recommend asking for a suggestion on the article's talk page, before you start working on something like that in the future. It is only for your own good, so that all the hard work doesn't go to waste. "The episode "Ditto's Mysterious Mansion" was not shown in order by Hungama for unknown reasons. 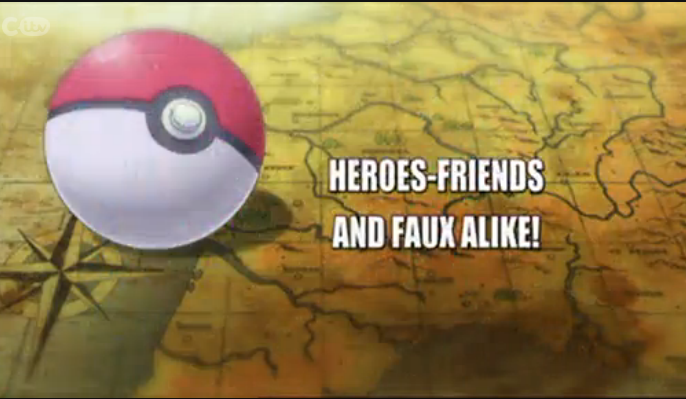 It was shown after "Bulbasaur's Mysterious Garden". After "Bulbasaur's Mysterious Garden", Hungama directly aired "The Case of the K-9 Caper", according to the dub airing order." I didn't really get what was going on. It said that EP031 aired after EP051, then it said EP054 aired after EP051. It sounded contradicting and confusing. So, I had to replace it with "Similar to the Cartoon Network airings, viewers noticed some inconsistencies in the airing order", which I believe is a much simpler way to put it. The first trivia, article already notes it. 3rd is based on complete speculation. As for the opening song, have they really stopped airing it? Because I checked the first few episodes and it was still there, but feel free to add it back if it's true. And those errors are really not notable. The theme song was shown only for the first 6-7 episodes. EP037 (you typed 031) was shown after 051. In the US, 051 was followed by 054, and 052 & 053 were aired after 057. Hence all dubs based on the US version air 052 & 053 after 057. Many people thought they were mistakes in the airing order, so they were adding that to the page. Hence, I added that paragraph. Maybe my bad grammer created confusion. Pokémon spelled without acute e is a really common error. But spelled as Pokeman is a notable error according to me. The WTP segment was not shown except for EP052, which was aired after 057. But 052 aired on a Friday (Q August)), so tomorrow (4 August (Monday)) we will know if it has been brought back. 2. I see. Though, I think its less confusing this way. 3. If it occurred in an actual episode, in a movie or say a poster, it would have been worth noting. I'm not saying that it's not an error. It certainly is, an obvious one for that matter. But an error made by the people who probably don't even give a damn about the show isn't really notable for this article. This page was last edited on 5 October 2016, at 05:42.